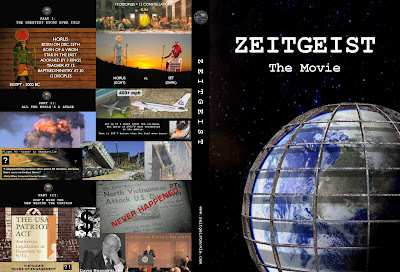 If you have never seen the movie "Zeitgeist" then you must take the opportunity now to watch this truly amazing film. This movie covers the topic of world conspiracy between the elite powers of our world and they truly do a remarkable job of putting it all together in a way that's easy to understand by asking the right questions. What does Christianity, 911 and The Federal Reserve all have in common? People have tried to put this movie on you tube but it keeps getting removed over and over even know there is no inappropriate content. Please take the time to watch this film, it is what inspired me to start this site. The message is extremely powerful and one that you will never forget. If you care about anything, yourself, your family, your friends or life in general then you simply must watch "Zeitgeist". Attain the knowledge that will set you free from earth bound information distributed to you by the powers that be, become your independent self by attaining your attainable mind. Enjoy! FYI the first few minutes is a black screen with a speech from Chogyam Trungpa Rinpoche before the movie begins. This is part one of nine. Here's a link to the full movie.